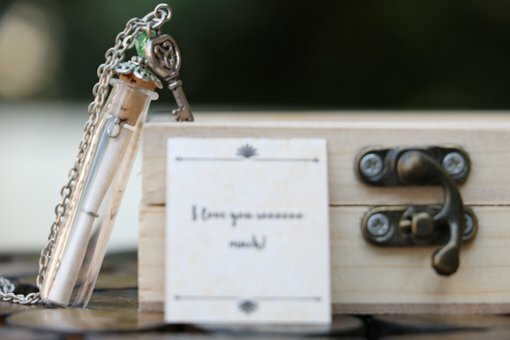 You’d definitely want your Vday gift to your loved one to be special and something that will remain close to their heart. Not one of those red rose bouquets that will wither away in 2 days, not chocolates that they’d finish eating in less than a few hours. If you want a gift that they’ll keep and cherish forever, you should definitely consider getting them personalized gifts. And we have a list for you! Fridge magnets have just become way cooler than photo frames. 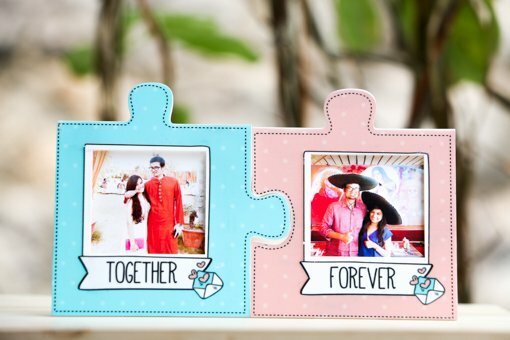 Surprise your loved one by putting this pair of adorable magnets designed in the shape of jigsaw puzzles. 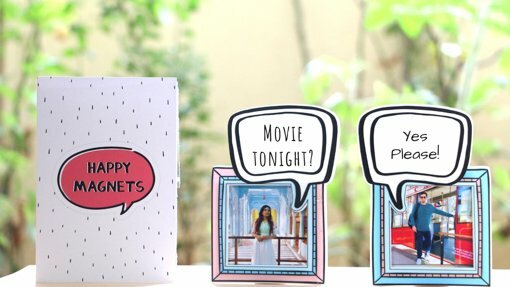 If your better half is someone who loves to talk, go wild with these uniquely personalized conversation magnets. Surprise your loved one (and their fridge) this Vday, by gifting a magnet customized with 4 photos. Have a favorite picture of the two of you, you always wanted to frame? 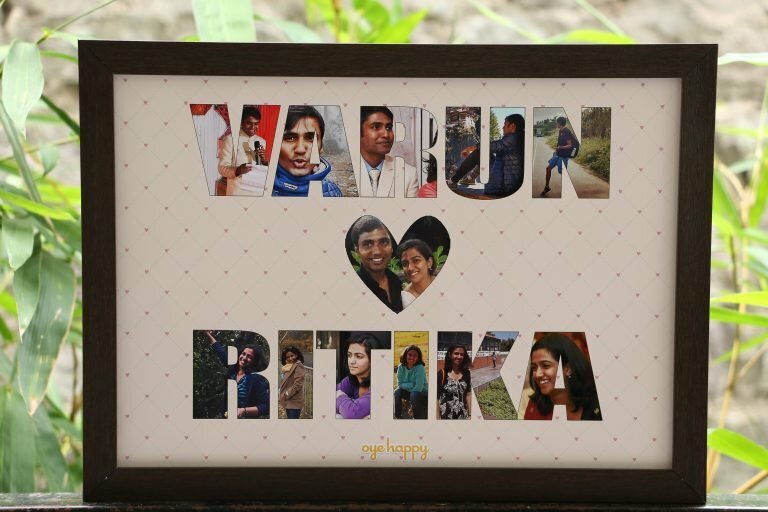 Turn it into an exceptionally beautiful Vday gift for your better half designed by an artist. 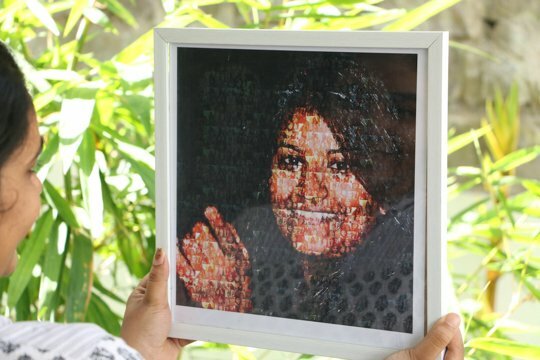 Mosaic is the art of putting together tiny pieces and fragments to create a wholesome picture, just like how your relationship with your better half is beautiful because of the tiny gestures and little moments. 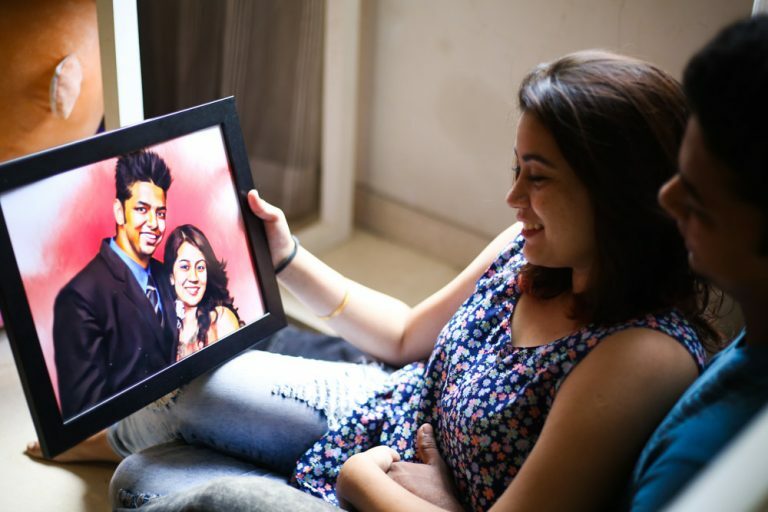 Using several pictures you share, we will design that perfect portrait as a personalized gift to your loved one. 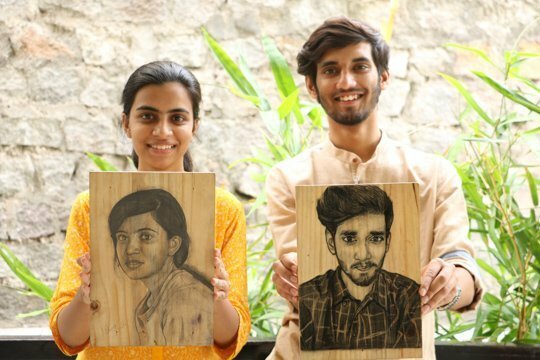 Turn your loved one’s favorite picture into a work of art with a handcrafted pencil portrait sketched by a professional artist. If your bae loves to accessorize, here’s a classy and romantic gift – a pendant with a message customized by you inside it. 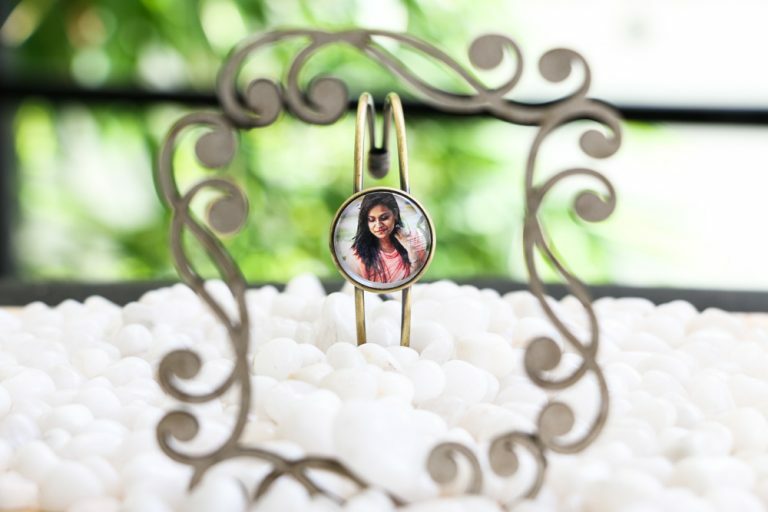 Make your Vday gift remembered and treasured forever in the form of this handcrafted bracelet customized with your loved one’s photos. Old school gifts are back in trend! 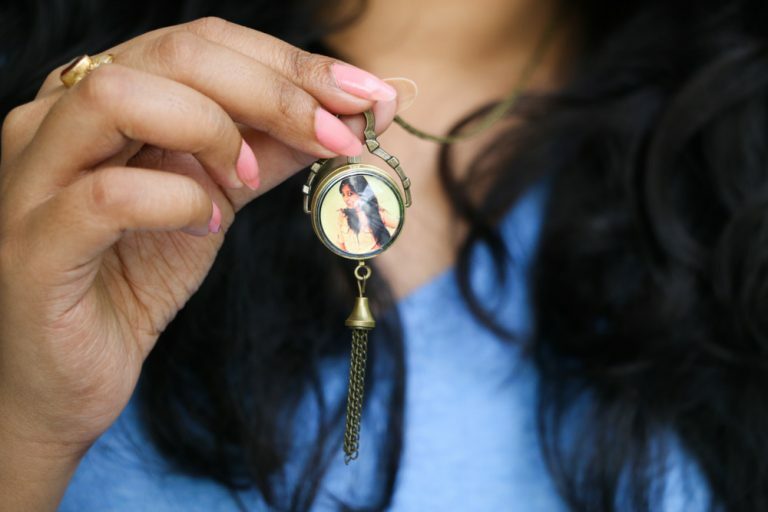 Surprise your loved one with a classy and intricately designed locket watch customized with a picture of theirs. 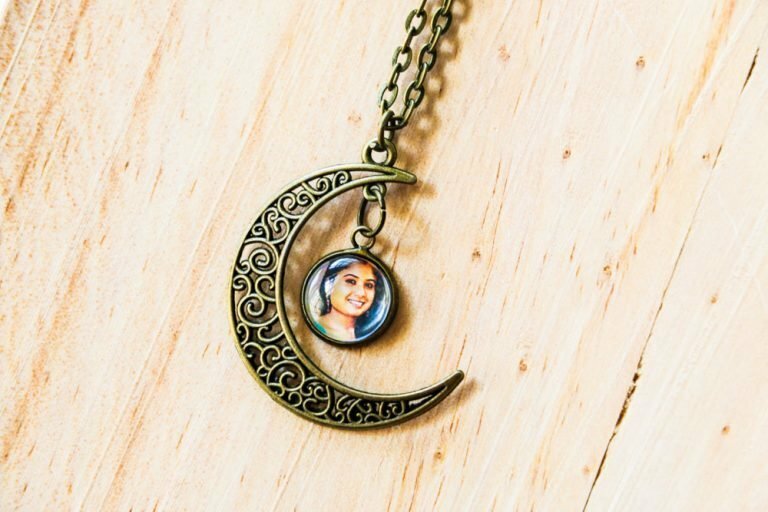 Love her to the moon and back? Express it this Vday with a uniquely personalized pendant that will forever remain close to her heart. 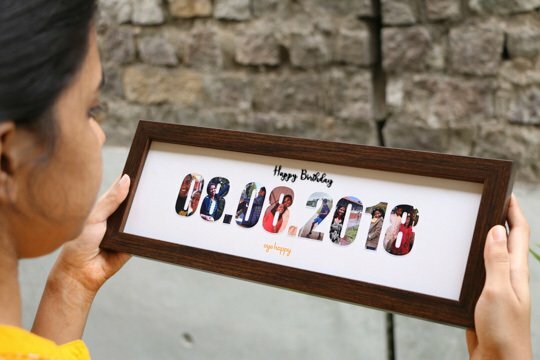 Take your loved one on a trip down the memory lane by gifting them this unique and personalized photo frame that lights up with the flick of a button. 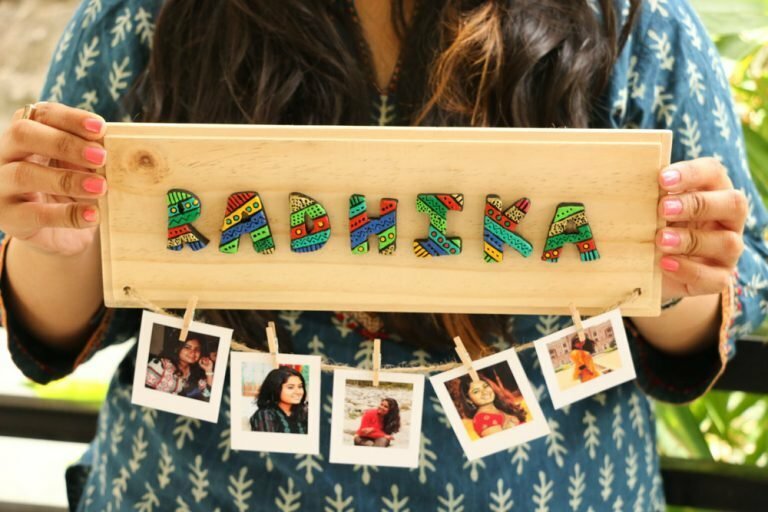 Make the good old idea of gifting photo frame surprisingly special by designing the initials of both your names using photographs. An intricate work of art created with handcrafted terracotta alphabets placed neatly to spell your loved one’s name. A personalized photo frame designed to clip 5 of their best pictures on a pinewood plaque. 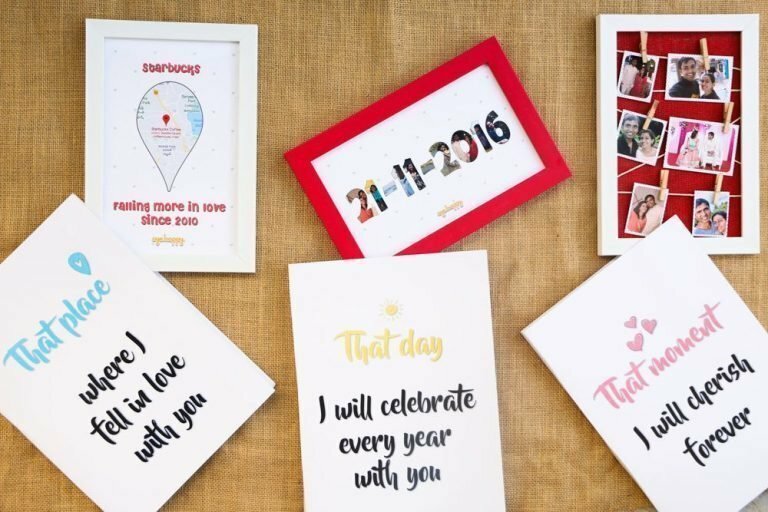 Spell the name of your loved one with their most amazing or most “liked” or “loved” pictures on social media as a personalized Vday gift for them. Know your better half so much that you can write a book on them? If not a book, at least gift them a frame professionally designed with things that define them as a person. 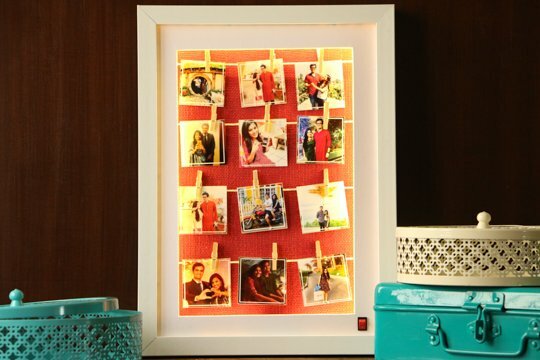 Gift your better half a special story with this box that unfolds into pictures and customized messages. 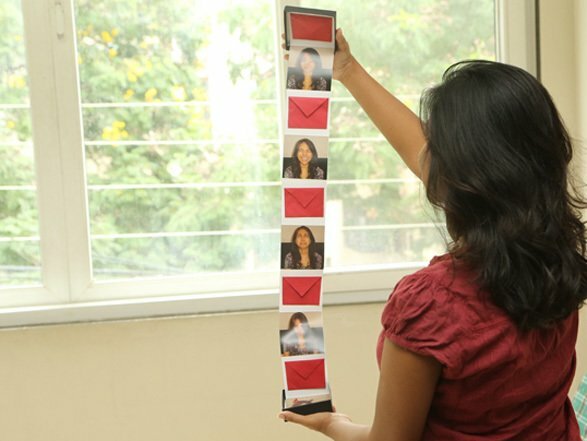 Frame a date significant to the both of you with your pictures together as a perfect Vday gift for your better half. 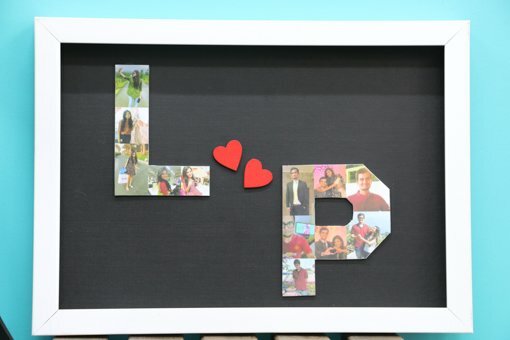 Spell both your names with your best selfies, vacay photos or date pictures on a frame as a personalized Vday gift for your special one. 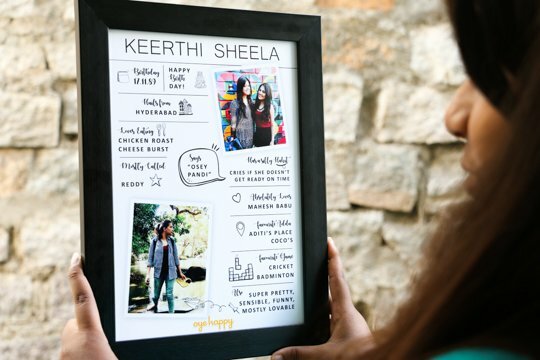 For those who love to preserve memories, here’s a handpicked collection of 3 gifts – each designed to frame a special moment in its own unique way. Surprise your loved one with a unique and touching gift. 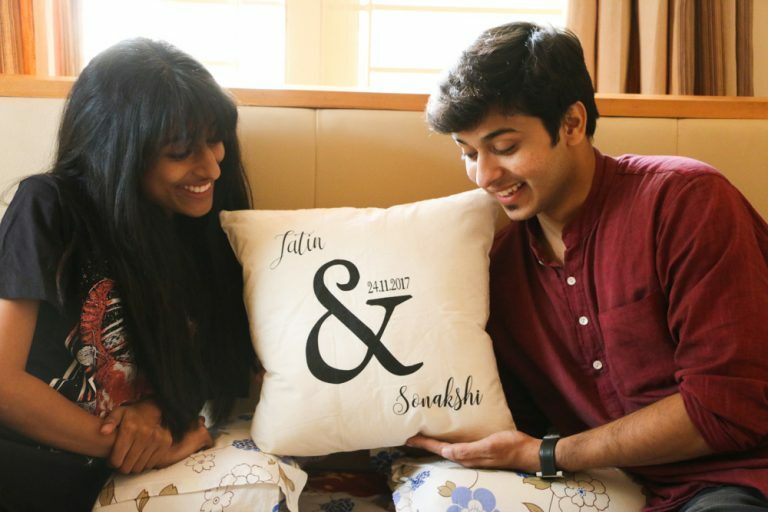 Customize a cushion with your names and a date significant for the both of you. When you are from Mumbai and your better half is from Delhi, this surprise serves as a reminder that ‘distance’ is just a word. 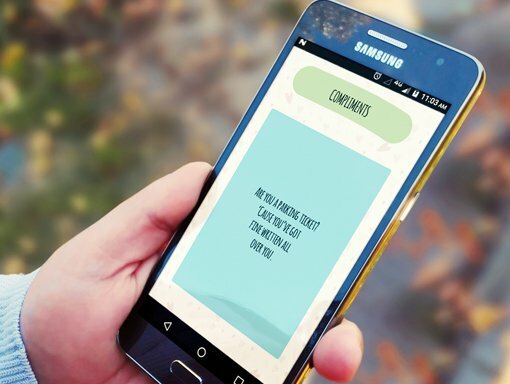 For those who are always glued to their phones, keep them surprised for an entire month with an amazing app created entirely for them. Variety is the king, we believe. If you don’t like any of these, check out more of our collection of gifts here. Bind your partner in love with these 11 jewellery gifts this Valentine’s Day.